The links below will help you complete the Foreign Language portion of the brochure. could explore. If you have questions please see Mrs. Tator, Mrs. Krajeski, or Mr. Magee. 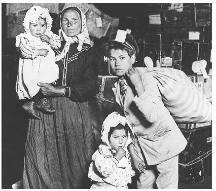 italian immigrants from everyculture.com ; Irish Immigrants picture from Nolan Family history. York) Region of our great state. influenced New York society from Spain, and Latin America. and why they come today. 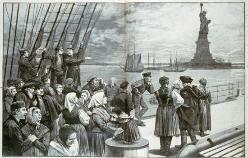 on Irish Immigration to NYC. about Italian immigration to NYC. other links from this web page. played in the Irish identity in NYC. Language and how it is celbrated each year at the harlem Book Fair celebration. French Institute in New York.